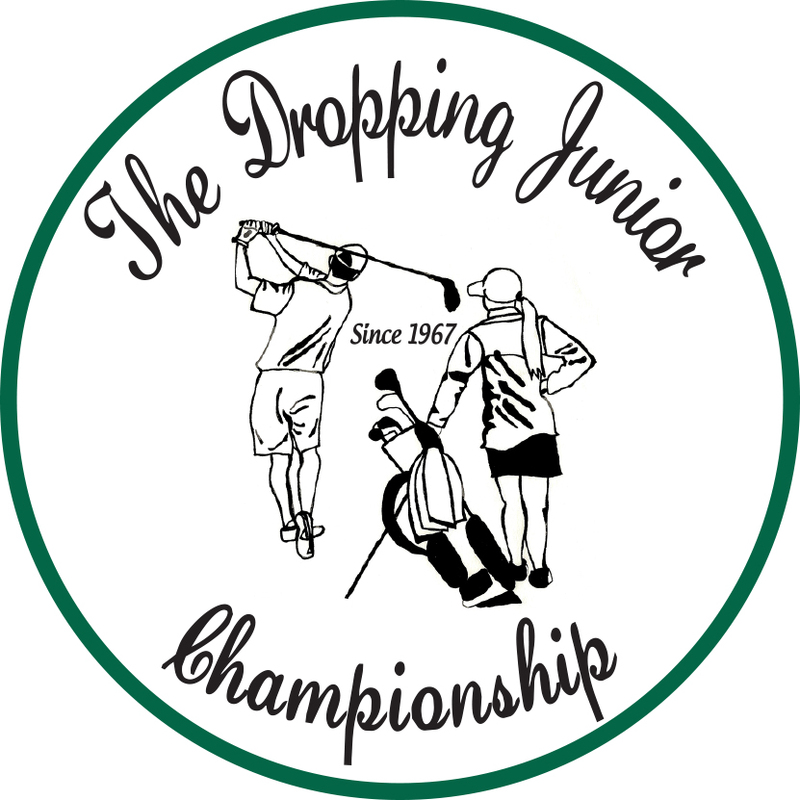 We, The Dropping Committee, are proud to invite you to apply for entry into the 52nd Annual John Dropping Invitational Junior Championship at BanBury Golf Course. The dates are June 10th & 11th 2019. BanBury is a premier public golf course in the Northwest, consistently ranking in the top courses to play in Idaho. The course has hosted the 2005-USGA Girls Junior Championship, 2012-Junior America's Cup, 2006- PNGA Senior Championship, 2004-IGA State Amateur, and the 2016 and 2019 Idaho Men's State Amateur. The John Dropping Invitational Memorial tournament has a long history of participants in its 51 years. See the section HISTORY for more details. The top 10% of the field will earn AJGA PBE Stars. Tournament eligibility is limited to boys and girls who are at least 14 years old and not older than 18 years old. 19 year old must not be more than 1 month removed from high school graduation. Boys must have a USGA index of 5.0 or less and girls 10.0 or less. Welcome to the 2019 John Dropping Memorial Junior Championship. Below you will find all the information for this year’s championship. 9:00am-1:00pm Tournament Player Registration at BanBury Golf Course - All Players are required to register on Sunday! At registration, you will be able to pick out your premium tee gift. It is important to register Sunday as sizing and selection on Monday will be very slim. Please call the golf shop at 208-939-3600 to put your name on one of our reserved practice round times. You can also come out between 10-1pm and our starter can work you onto the course with another group. * Trophies will be awarded immediately following play. We will provide complimentary range balls for tournaments players Sunday, Monday and Tuesday. 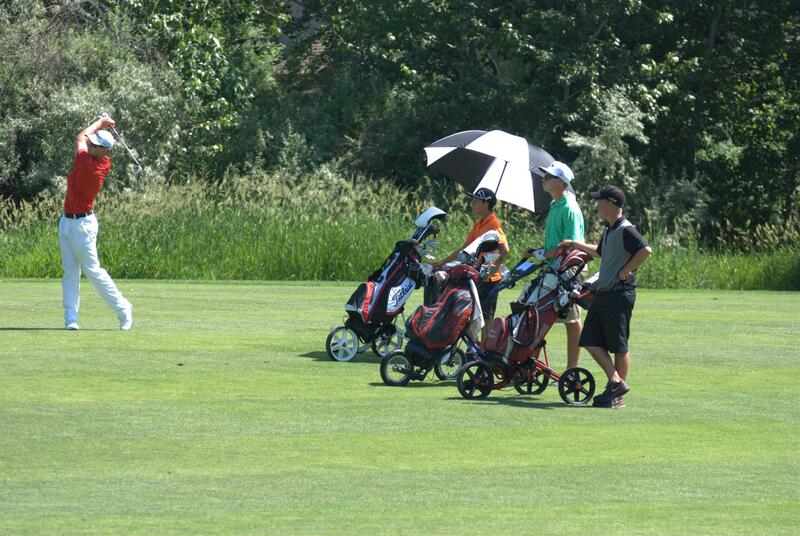 The purpose of the College golf format is to prepare junior golfers for the next level. Caddies are not allowed in college golf and we recommend not using a caddy. However, if you desire a caddy, they are allowed. Please remember, that they CANNOT be a parent, guardian, or sibling. Even if you are not a ping pong player, we still encourage all players to attend this fun activity. Free pizza will be served to all the players on Sunday Night (5pm). Great prizes for the Ping Pong Champion and runner up! 1. What is the schedule of Events? Players should contact their BanBury Golf Course after June 1st, 2019 for tee times. Tee times will be assigned on a first-come first-serve basis. 2. Are practice rounds included in the entry fee? Players will be provided one complimentary practice round after 10am on Sunday June 9th. Please call 208.939.3600 on or before June 1, 2019 to schedule your practice round. 3. 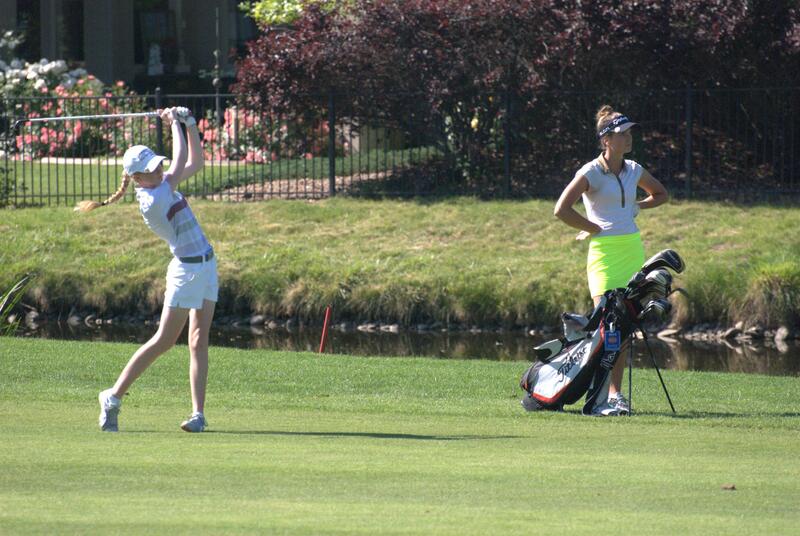 Does The Dropping receive any AJGA Performance Based Points? Boys places 2-5 can earn 1 star, Girls places 2-3 can earn 1 star. 4. What is the format? College format. 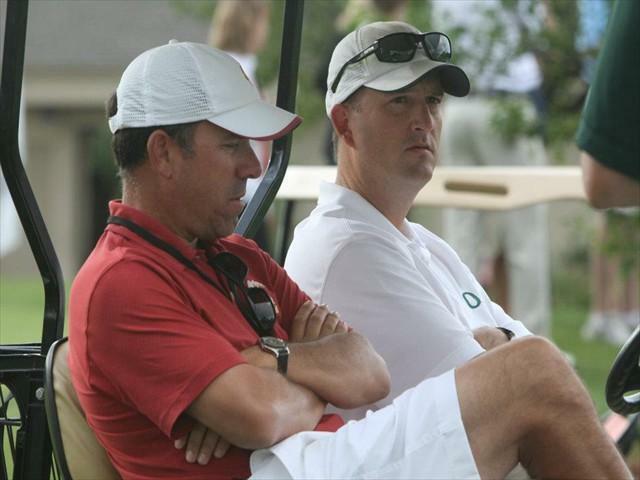 The goal of this tournament is to prepare elite junior golfers for the college level. Most college tournaments are 54 holes played over a 2 day span. The first day of competition will be 36 holes with a shotgun start in the morning. Players are not allowed to stop in between rounds and their lunch will be delivered to them on the course. The second day of the competition will be 18 holes with a splilt tee start on holes 1 and 10 with tee times paired by score. 5. What is the Age and Handicap Restrictions? 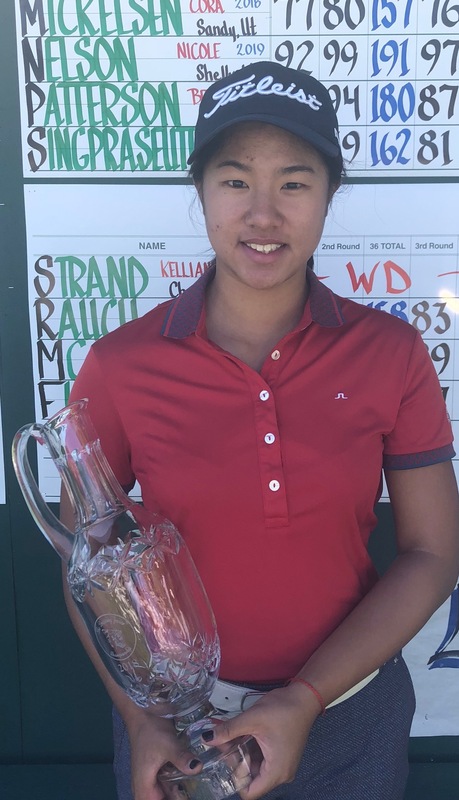 Entries are open to female and male amateur golfers who (1) have reached their fourteenth birthday by June 11, 2019; (2) will not have reached their nineteenth birthday by midnight (MST) June 5, 2019; (3) will not have graduated from high school by midnight (MST) May 10, 2019; and (4) have an up-to-date Handicap Index® not exceeding 10.0 for females and not exceeding 5.0 for males under the USGA Handicap SystemTM . A Handicap Index must be issued from a “golf club” (as defined in the “USGA Handicap System Manual”) which is licensed to use the USGA Handicap System. 6. Will I be allowed to have a caddie? Yes, although the purpose of the College golf format is to prepare junior golfers for the next level. Caddies are not allowed in college golf and we recommend not using a caddie. If you do choose to use a caddie, they CANNOT be a parent, guardian, or sibling. 7. Can you tell me about the ping-pong tournament? On Sunday, June 9, 2019 approximately 6 ping-pong tables will be set up in the cart barn at BanBury golf course. A double elimination system will be used to determine a champion. Awesome prizes will be awarded to the champion and runner up. 8. What college coaches will be there? Typically there are coaches from Boise State, Idaho, Idaho state, Gonzaga, Washington, Washington State, Oregon, Oregon State, NNU, BYU and College of Idaho. We expect a great college coach turnout this year. 9. Is there any housing available players? Yes. Please contact us if you would like to try to arrange housing for you. 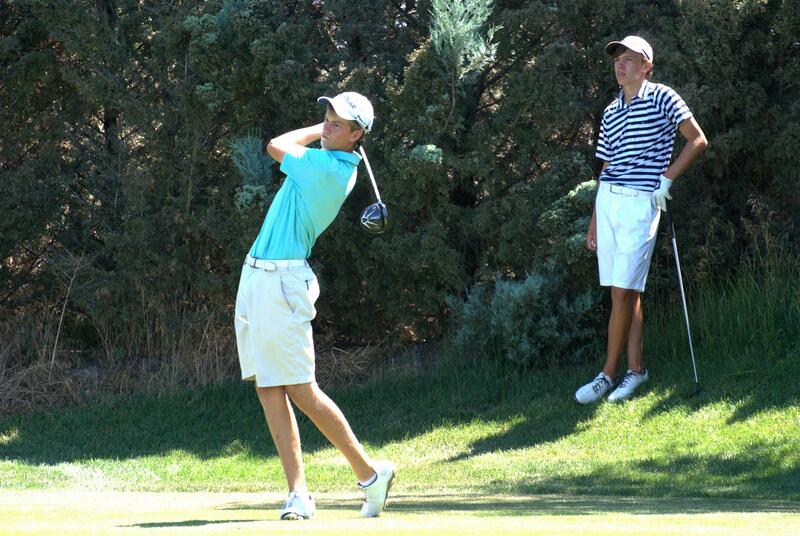 John Dropping was a phenomenal junior golfer whose life ended too soon. This tournament is dedicated to his life and a celebration of junior golf. John began playing golf at the age of 12. A late start by today’s standards but his accomplishments were nothing short of spectacular. In 1964, he was Idaho’s first qualifier and the lowest qualifier in the nation for the U.S Junior Golfers Association according to Golf World Magazine. John Dropping was a graduate of Borah High School and attended the University of Idaho. 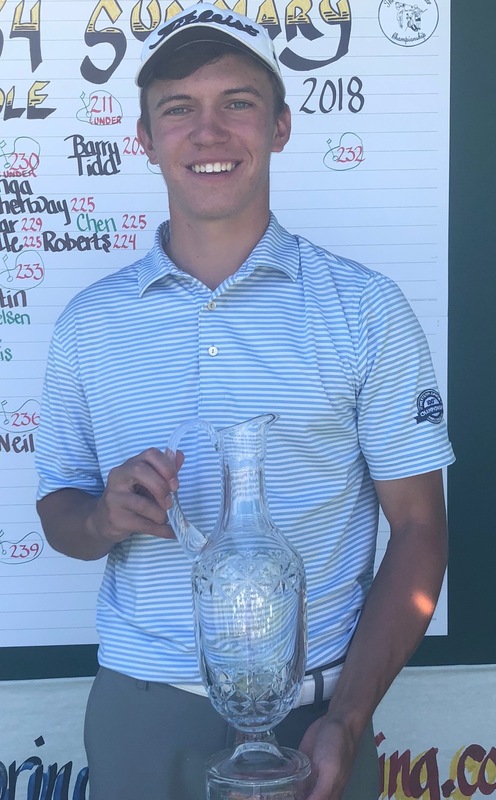 He won the Idaho State High School Championship two years in a row and played in many men’s tournaments including the McCall and Southwest Idaho Amateur.